Thanks again for doing such a fantastic job on both parties. i was so thrilled with both the food and the presentation , not to mention the service . Thanks for everything . I can't thank you and the Savore team enough for coming on board this year to cater the Evening Before.The food was presented beautifully and it tasted just as amazing - our guests are still raving about the desserts! The MPTF and i truly appreciate all of your hard work in making the night so special for our guests . we look forward to working with you again soon. Absolutely amazing !Can't wait until we return and start again in the fall. Keep creating your yummy deliciousness. Thank you seems hardly appropriate for the incredible food you prepared at our party, the hard work and sweat you put out to do it , and on top of it all, the giving of your time .Your graciousness and generosity are amazing and until i can come up with another phrase ....! !Thank you!! Thank you so much for making my party a great success. Everybody was just floored with the fabulous food. Everything went seamlessly. We were extremely impressed with how friendly and attentive the servers were, Hope we can do it again soon. 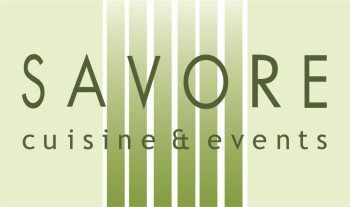 Thank you so much for introducing us to the wonderful and delicious world of Savore.The food and the presentation was superb, and clearly a good time was had by all.we will do all we can to have you again ,many thanks. Just a quick note of gratitude for an outstanding catering event at Korakia this weekend. The food was delicious, the guests thoroughly enjoyed every morsel we had a very memorable evening and thanks you for a great night. we are not quite sure how you continue to out do yourself ... but you always do!you and your staff make it so easy for us to actually enjoy every minute of our party.The meal you created for our guests was beyond perfect. Our deepest thanks.